Clarke & Severn Electronics announces the release of a new range of sealed 10 amp power jacks from Switchcraft. The new power jacks are designed for outdoor, marine, medical, or lighting power supplies applications where a reliable sealed connection is necessary to withstand weather, water and harsh environments. Switchcraft’s sealed 10 amp power jacks are rated to carry 13A current and up to 24V AC/DC at 65°C. Though only available in a sealed version, the 10 amp power jacks can be used with S10 style plugs in both sealed and non-sealed versions. 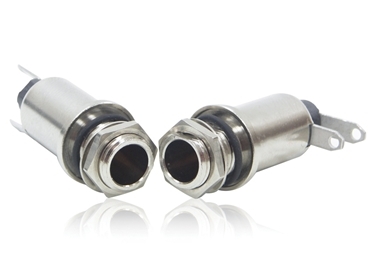 Plug locking versions are recommended to keep plugs connected to the jack.